These were my work pants. 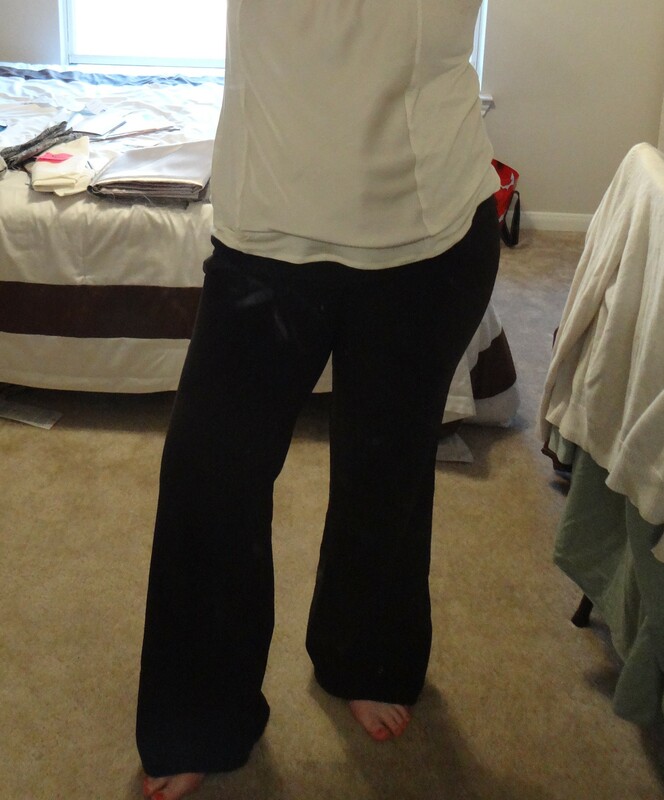 Cheap black slacks I bought at JCP while in college while I worked at a pizza joint. I also wore these to my management position at a beauty store. For a total of three years I wore these pants every other day. Why you may ask? BECAUSE I HATE SHOPPING FOR PANTS. IT’S LITERALLY THE WORST. So, I am celebrating the end of this pair of pants life by chopping off the legs and making them some pretty classy shorts. Because again, I hate shopping for pants (and shorts). Shorts are even worse. This process was pretty fun! All that I used was my favorite pair of shorts, scissors, coordinating fabric and thread, an iron, and my sewing machine. From beginning to end it took about 45 minutes. Mostly due to the fact that this was my first time doing this sort of project. First wash and dry your pants. You’ll want them to be clean. On a flat surface line up the pair of shorts to your pants that you are demolishing. Make sure to line up the top of the inseam if you are specifically wanting the length of the shorts to be correct. 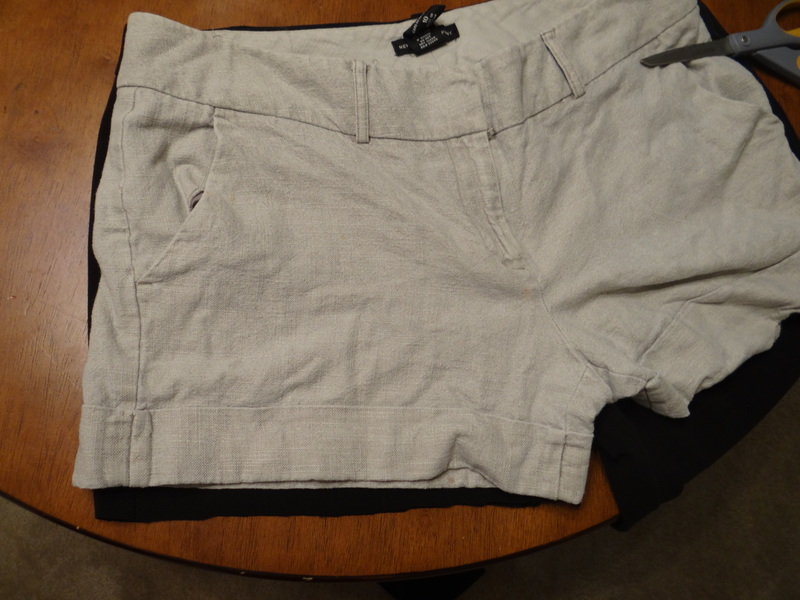 From the inseam outward, cut one inch below where the shorts fall in a slightly upward fashion. Next you will take your fabric and cut it into pieces: 2 for the front and 2 for the back wide enough so when folded with the right sides together the make a 1.5 inch band. Sew the long sides together and turn right side out. Stitch each band to the appropriate side of the shorts. 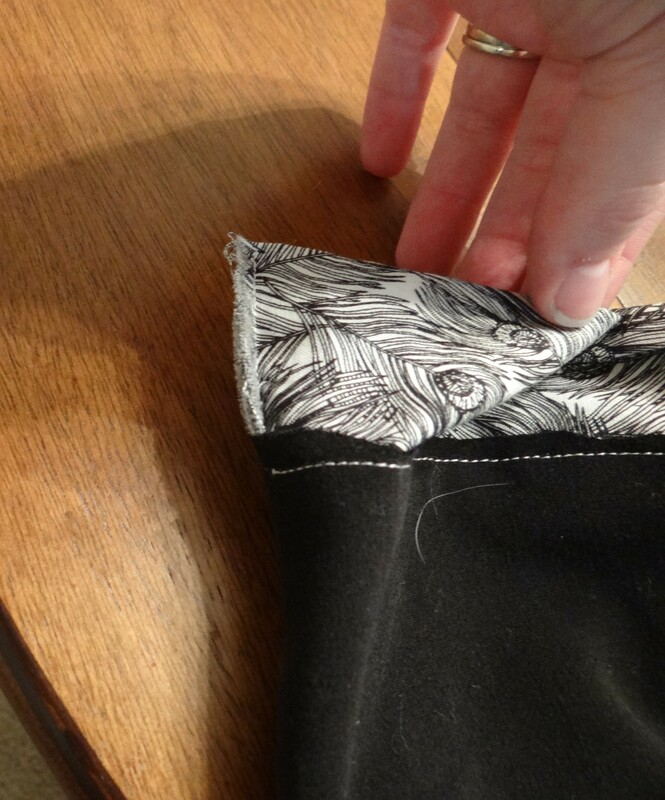 You will pin the fabric to the inside of the shorts when they are right side out. The band of fabric is meant to fold up. Press your band upward once sew to the shorts. I tacked the band in several places so that it doesn’t unfold when I move about. And done! They look super cute with a button up shirt and wedges 🙂 Happy refashioning! They look great. If I ever wore shorts I might do it myself with jeans.